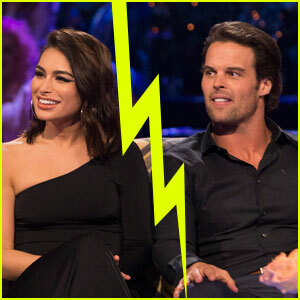 A disheartening news has come for the fans of one of The Bachelor Winter Games most memorable couples; Kevin Wendt and Ashley Iaconetti. They have been failed to stay in a true relationship. Yes, they broke up. The 30-year-old The Bachelor alum confirmed to Entertainment Tonight that she and her BWG boyfriend have split. Less than a month ago, the couple was declared the "winners" of ABC's reality shows' first season and gave golden roses to each other in the finale. ET first learned that Kevin and Ashley have parted ways through a source, who confirmed that there are no hard feelings between the couple adding that It was pretty difficult to make a new relationship work long distance as Ashley lives in Los Angeles. It was a little weird to have to figure out a long-term plan so soon. Ashley and Kevin were both really into each other, they just weren't sure if it was a forever thing. And it's hard to date long distance like that. This might engross the mind of Bachelor Nation fans as the pair looked totally smitten post-finale, and even posted beautiful pictures of them just a few days ago. The way @kevin.c.wendt wants to take care of his lady’s heart is so beautiful. ???? Ashley previously appeared on Chris Soules' season of The Bachelor and Bachelor in Paradise's two seasons, during which she had an affair with Jared Haibon. She has also co-hosted the podcast I Don't Get It.